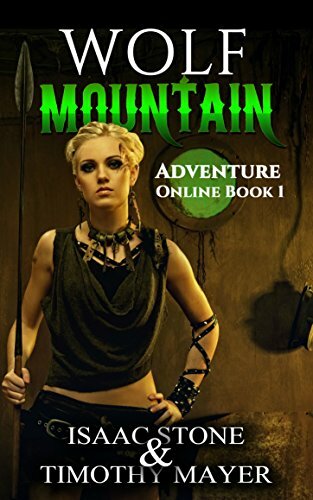 It’s not often I get to write about a book where I’m one of the subjects, as in Xerox Ferox. Come to think of it, this is the first time. Someone was even nice enough to send me a copy, which is all I wanted for the interview I contributed. Now how nice is that? 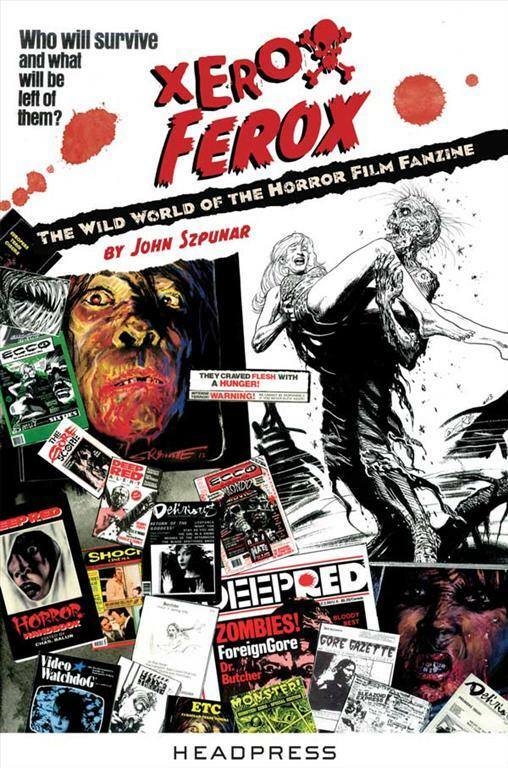 Subtitled “The Wild World of Horror Film Fanzines” Xerox Ferox is a collection of forty interviews with horror film fanzine publishers. There’s even a 41st chapter entitled “Lost Zine Interviews” with filmmakers whose careers owed much to their fanzine base.The 40 chapters are arranged in historical order, so you find most of the early publishers in front and the final ones toward the end. The headings are simple: the name of the interviewee is given with the name of the publication he produced. I’m #9, “Tim Mayer: Fear of Darkness“. If the person is known for more than one fanzine, the chapter title is more generic. For instance, my good friend Tim Paxton’s chapter (#22) is entitled “Monster International!”. Most interviews were done by John Szpunar, other interviewers are credited in the table of contents. Mine was done by my good friend Chris Poggiali (#33: Temple of Schlock“). Reading through this massive tome, which clocks in at 800 pages, I’m taken back to the distant 80’s when, while listening to a homemade cassette tape of a local punk band, I hit on the name for my own zine: Fear of Darkness. Not knowing the least thing about publishing, outside some articles I had done for few entertainment magazines, I was still convinced I could publish a magazine myself, just like the ones on the newsstands. With the help of a friend in the printing business, I soon found myself with a magazine and printer bills to pay. I struggled with it for two years, most of 1983 and 84, until production costs wiped me out financially. I had published 5 issues, with the final two printed on a mimeograph machine. You could say Fear of Darkness started out as a magazine and ended up a fanzine. The final issue, #6, was laid-out and sent off to someone who offered to take the magazine over for me. Naturally, it never saw the light of day. Every single interview in this book is worth reading. There are people who went pro (#26 Mike Gingold: Scaraphenalia) and people who are no longer among the living (#13 Chas Balun: Deep Red). Mike Weldon, who, with his Psychotronic newsletter from the late 70’s, could serve as the original man of horror film zines, declined to do an interview. The interview with the best horror fanzine writer, Bill Landis, is from another 2003 book (Landis passed away from a heart attack in 2008). Some of the publishers are bitter and still have axes to grind 20 years after the fact. But just about everyone remembers their fanzine days with fondness. Most of the zine publishers are from the US, a few from Britain, New Zealand, Canada, etc. Leafing through this massive collection, I can’t think of any one interview to recommend (*cough*Mine*cough*) over another. They’re all of outstanding quality. I like Jimmy McDonough’s as he was one of Bill Landis’ co-writers in the old Sleazoid Express. In some ways this was one of the epochal horror film fanzines, as Landis would hit all the grindhouses on 42nd street in New York City and write about them. McDonough joined him later on his trips to the seedier side of the Big Apple. McDonough would later go onto be a published biographer with books on Neil Young and Russ Meyer. He spends a lot time talking about what it was like in during the glory years of the Deuce. He also talks about Landis and what brought about their parting of ways. From my memory, horror and exploitation film fanzines took off in 1980. This was the year Landis published his “From Tack to Gore” article in the old New York Rocker. Across America, film geeks began hitting the drive-ins and crumbling theaters to find undiscovered classics. Soon, cheap photocopied publications were flying through the mail as everyone tried to be the next Forry Ackerman. The production quality might not have been the best, as there was only so much you could do with typewriters and paste-ups. But the enthusiasm was contagious. It was a close mail order community with a lot of good writing and more discoveries. The zines were fueled by low-cost photocopying. mimeograph printing never looked any better than a school hand-out and offset printing was still expensive. But anyone with access to a Xerox machine could become a publishing magnate. More than a few fanzine publishers found themselves in hot water with their employers when the boss noted all the paper missing from the shelf (“Honestly, Sir, I thought it was OK for us to use the copier during slack periods. I’ll never do it again!”). The other source of propellant was cheap VHS tapes and machines. Lists of movies thought lost to history began circulating through the postal service and entire video companies were born to take advantage of the demand. The 90’s saw the explosion of horror film professional zines (“ProZines”) as many of the photocopy publishers moved into the offset printed zines. This was also tied into the rise of the huge chain media stores, such as Tower Records and Boarder’s. Then you could go to a high-end shopping district and buy a copy of Ecco (#35 Charles Kilgore). But all good things have to come to an end. And it did with the coming of the Internet. The Internet made huge media chains redundant. And when they went, many left unpaid bills to distributors. More than one former publisher in Xerox Ferox talks about being burned from distributors who never paid. It’s painful reading Tom Skulan (#14) of FantaCo press talk about how sales plummeted after 1999. I know Tower Records once had three branches on South Street in Philadelphia (one regular, one for books, and one for classic music). Now there isn’t a single one. If you were a devoted horror film fanatic in the 80’s, this book will bring back memories. It did for me. If you want a look into the world of independent publishing, this is the book for you. I can’t recommend it enough. Fanzines were a lot of fun to produce. I wasn’t into Horror, but ended up with a few horror fanzines over the years. We started publishing ECHOES, the “historical journal of limited distribution’ (fanzine) in June 1982. We published 100 issues as a magazine, then another 57 issues as a newsletter. We were the hobby magazine for pulp fandom Twenty-two years in business, and quite memorable. We published a 20th Anniversary issue in 2002, and a 30th Anniversary issue in 2012. Health is what forced us to shut down, though the Internet fan base was just a few years in the future; heck, we started out on a manuel typewriter, worked up to an electric typewriter, then to a Brother Wordprocessor, and finally Ginger bought a computer just before we shut down. We put the newsletter and 20th Anniversary issue together on the computer. The 30th Anniversary issue was published by Altus Press using CreateSpace. But what memories we have.